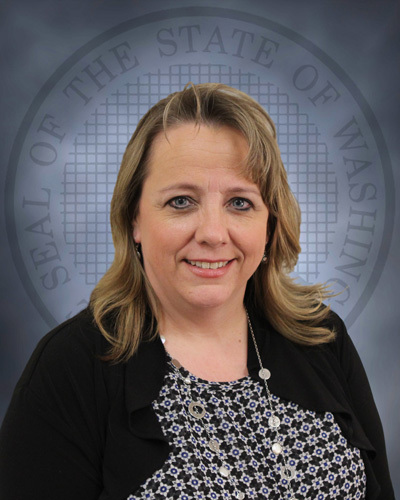 TUMWATER – Melia Olsen has been named by Secretary Stephen Sinclair as the human resources director for the Washington Department of Corrections, effective immediately. Olsen has 29 years of human resource experience within Washington state government. Olsen has served as the department’s human resources operations manager since 2011. Prior to her time with Corrections, Olsen served in various professional and managerial roles at the departments of Personnel and Social and Health Services. Throughout her career, she’s gained experience in various HR disciplines, led a variety of cross agency and cross functional workgroups, and worked collaboratively with internal and external stakeholders to achieve results. In 2011, Olsen received a Governor’s Distinguished Management Leadership Award for successful implementation of the state’s current recruiting solution. Olsen has a Bachelor’s degree in Sociology from Washington State University and holds two HR certifications (SPHR and SHRM-SCP). She is currently pursuing a Certified Diversity Executive certification. Olsen takes over from Marcos Rodriguez, who left the agency on February 15, 2018 to become the HR director at the new Department of Children, Youth, and Families.